Mrs. Bernice Brown was born June 16, 1924 to the late Lou Ella Cook-Keyton and Will Keyton. She was a loving and devoted wife to the late George Brown. As a child, she joined Rocky Mount Missionary Baptist Church. 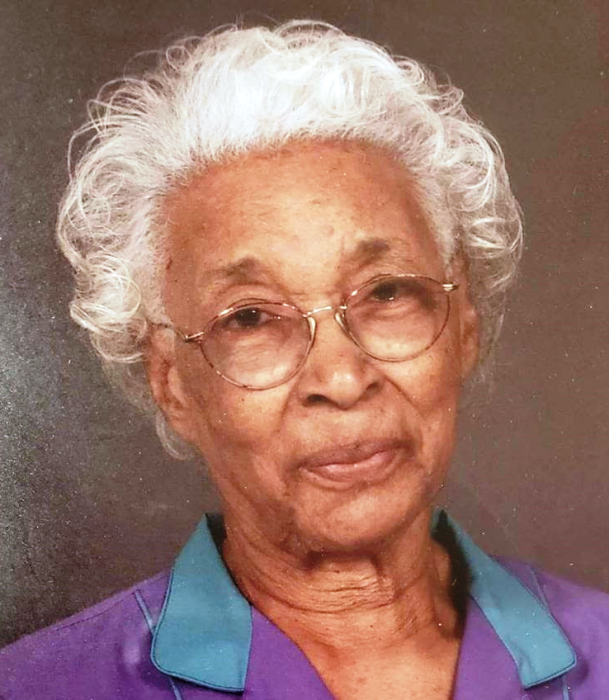 She later moved her membership to Greater Shiloh Missionary Baptist Church, where she was a loyal member and faithful usher. Although she was unable to physically attend church in her later years, her faith remained steadfast. "She worked willingly with her hands" (Proverbs 31:13) whether within or outside of her home. She began work at an early age and retired at the ripe age of 90. One of the many cherished memories of the family was gathering around her table for Sunday morning breakfast and enjoying her infamous homemade biscuits (Proverbs 31:15). She touched many lives with her quick wit and natural ability to weave a humorous yet inspiring story from her life experiences. Her legacy spanned 5 generations, truly friends, family and the community "rise and call her blessed" (Proverbs 31:28). She was preceded in death by 3 brothers, 3 sisters, and her children Dorothy Nell Key, Willie James Brown and Gloria Jean Reynolds. She leaves to cherish her memory her children George Brown (Mary Nell), Ella Mae Brown, Bernestine Reynolds (Oscar), Eddie Brown (Billie) and Vera McClain. 33 grandchildren, 55 great grandchildren, and 25 great-great grandchildren. Special friends Betty Mitchell and Amanda. And a host of others whose lives she touched with her love and kindness.